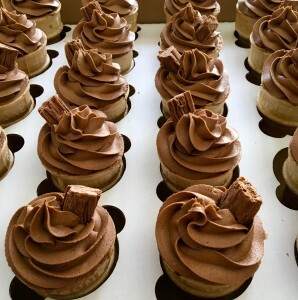 A few months ago, Jennifer’s Cakes was asked to produce 250 Cupcakes in the shape of ice cream cones. This was for an amazing film production company. 125 Vanilla Ice Cream Cupcakes and 125 Chocolate Ice Cream Cupcakes were made and delivered without a hitch (even though it wasn’t an easy feat). If you’re looking for some Ice Cream Cupcakes then feel free to drop me an email. P.S Keep a look out for our next article all about making vanilla cupcakes in the shape of Ice Cream Cones. 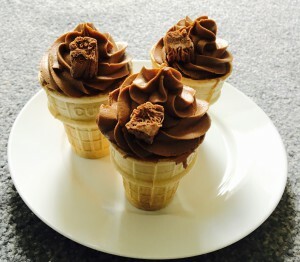 These chocolate ice cream cupcakes look phenomenal! I am definitely saving this recipe for later!